In November local residents featured in articles in many papers including the Daily Mail. On ITV Meridian Doreen McIntyre Of Harefield Against HS2 was interviewed about the Colne Valley and HS2’s Ltd’s Peter Fry was also interviewed about his role as a community liasion manager. Funny as we haven’t heard from him since September despite all that has gone on in recent weeks. 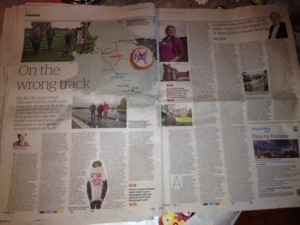 In October our consultation event featured in the Guardian. 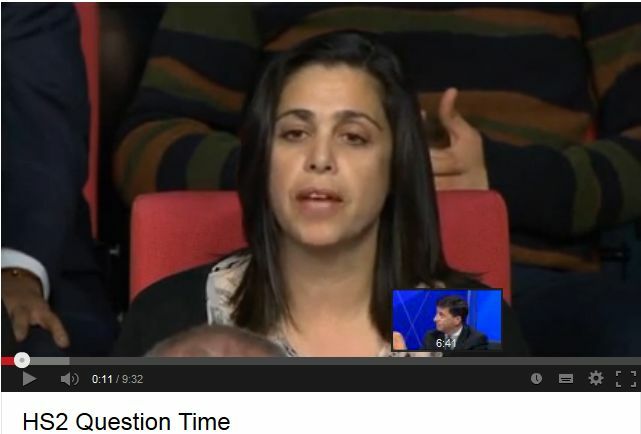 In September, Question Time was filmed in Uxbridge and Lottie Jones was on asking a question about HS2 and she got a fantastic reaction – watch the video here.